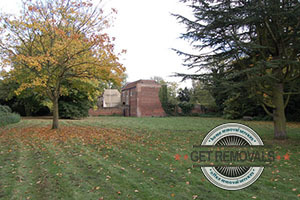 If your property removal date is quickly approaching, but you are gridlocked amongst work, family and social commitments of higher priority, then you should definitely get in touch with a specialised removal services provider and give yourself the advantage of a professionally organised removal solution that covers the entire process from start to end. With us, moving home or office will be made quick, easy and affordable. 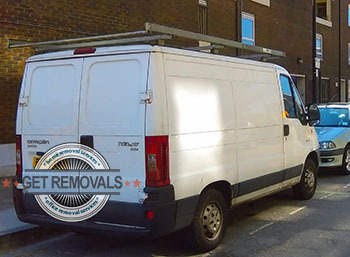 We deal professionally with practically all types of residential and commercial property removals as well as many other relocation and delivery jobs. We make this possible through working with highly skilled moving technicians and experienced removal drivers all of whom know their duties inside out. We deal with all stages of the removal project from start to end. Get Removals provides fair quotes and custom pricing. We at Get Removals Cranford know that fifty percent of the success of any well organised moving service depends on safe and efficient transportation of items from A to B. This is why we own and maintain a fleet of specially equipped cargo vehicles of different size, wheelbase and load capacity. All vans undergo regular technical inspections, they are fitted with hoisting and latching equipment required for lifting and securing heavy loads. Our vehicles are fitted with satellite navigation and cleaned thoroughly after each job. Choosing us to handle your removal will translate to fewer hassles, extra money in your pocket and more free time to explore Cranford. The area originated as a small Saxon settlement, completely surrounded by woodlands, namely Hounslow Heath. The area has a long history, with first written accounts coming from the Doomsday Book of ten eighty six. One of the places of interest in Cranford is St Dunstan’s Church dating back to the fourteen hundreds. An interesting fact is that Cranford houses one of only two remaining metropolitan police ‘lock-ups’ where police kept drunks and violent people overnight. Eventually the place was repurposed as a mortuary for the local parish. Cranford’s commercial zone is quite abundant with shops, services and amenities. The high street is called Berkeley Parade – named after a local family of nobles. Cranford is situated near the western perimeter of Heathrow Airport. Currently, Cranford is a ward that formed from an ancient parish of the same name. The area’s name comes from Saxon and refers to a river crossing and crane birds. Cranford appears in the Doomsday Book of ten eighty six, with details on its rulers, manors and their assets. The Knights Templar also held land and one of the local manors in Cranford during the twelve hundreds. When you need to get any sort of removal in Cranford done, call the leading moving company in TW5. Our licensed domestic and commercial movers will gladly take up your full property or single item relocation job and carry it out in a manner that is up to all the highest quality standards of the industry. Our movers and packers are efficient, work on competitive prices and the most flexible schedule imaginable. Cranford is a relatively isolated area in the TW5 district in Harrow. It is located some 20 kilometers from Charing Cross, but on the other hand offers easy and quick access to major areas in South West London such as the Heathrow International Airport, Hatton, Hayes and others. Notable people related to the area of Cranford include Elizabeth Carey, Lady Berkeley, Ian Gillian from Deep Purple, Session guitarist Big Jim Sullivan and many others.